Alexander Wang is one of my ultimate favourite designers and his most recent collection does not fail to disappoint. 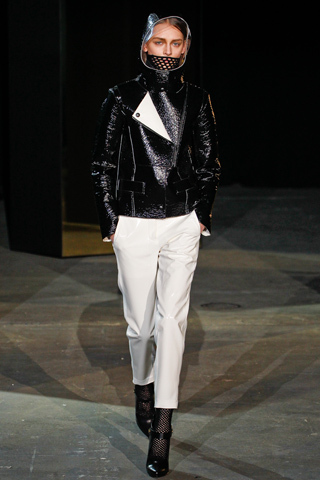 I love the way that Wang has played with texture, my favourite being the patent glossy finish of the biker style jacket in the last image. 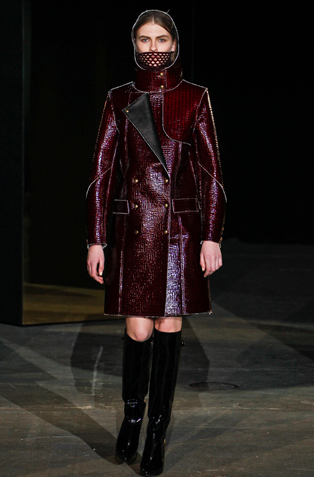 The monochrome palette with a hint of burgundy is perfect and I know I will be lusting over those knee high boots!